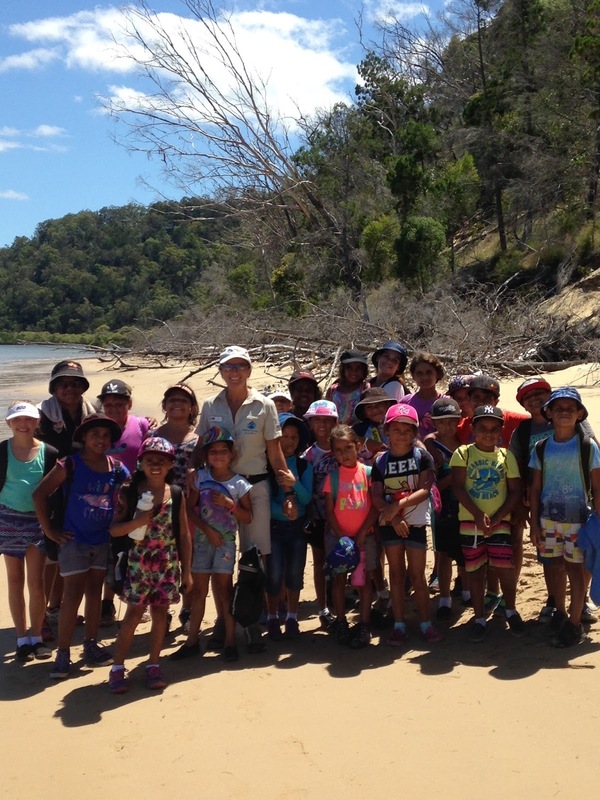 After a busy Christmas and New Year period, we've hit the ground running in 2016 on Fraser Island. We welcomed over 100 new Junior Eco Rangers to our ranks over the school holidays and we are sending all our little rangers our best wishes as they head back to school this week. Just last week we welcomed this wonderful bunch from Hervey Bay Vocational Care. This group had a great time going on a scavenger hunt with Ranger Annie, visiting the Great Sandy Strait lookout, learning about the heritage of Fraser Island around the camp fire and taking in the amazing sights around the island with a bus tour of the best spots on Fraser. While the humpback whales are famous for stopping off Fraser Island in the winter months, they aren't the only species to take a breather in the Great Sandy Strait during their migration. During the summer the mudflats off Fraser Island provide an important habitat for thousands of migratory wader birds- so if you're a keen bird watcher, nature lover or photographer the coming months are a great time to witness these special visitors on their journey. We are also coming into our traditional "wet season" which can bring in afternoon summer showers and cool evening sea breezes. Our beautiful rainforests delight in soaking up the rain which also serves to top up the island's famous perched lakes that collect all their crystal clear water from the sky. f your adventure on Fraser Island.